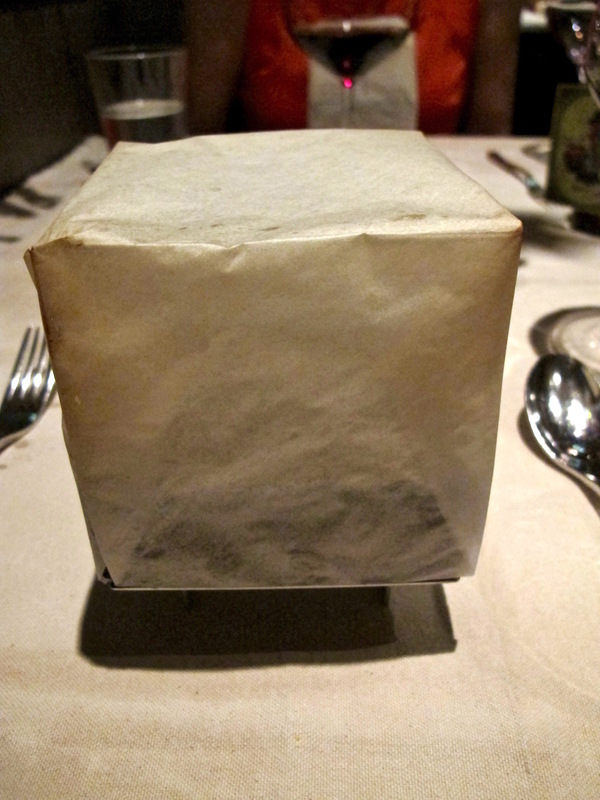 One of my top 5 restaurant meals ever was at Grant Achatz's Alinea in Chicago several years ago. It went much further beyond a good tasting meal, but of course it was also that. In addition to stimulating my palate, it engaged all of my senses. There was a pillow that deflated when a plate was placed on top to release the smell of cut grass because doesn't food taste better on a summer day? 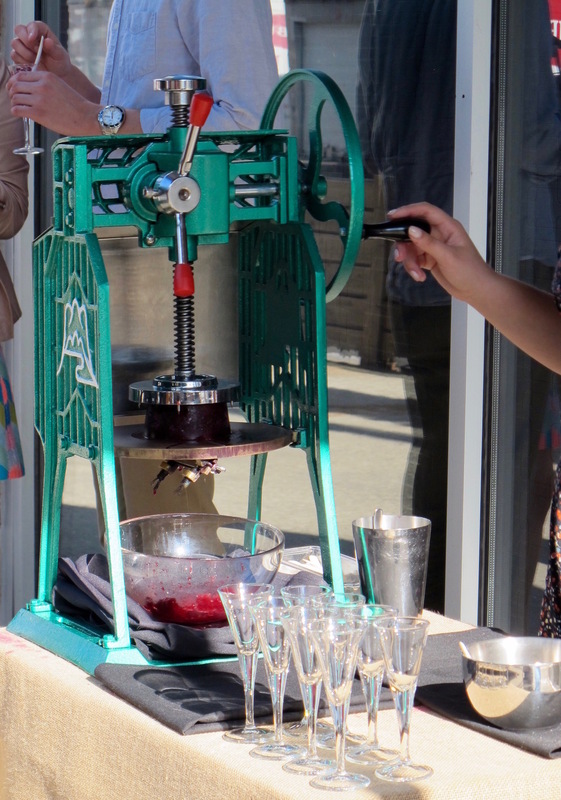 There was edible table decor and many other surprises of food not being what you thought. 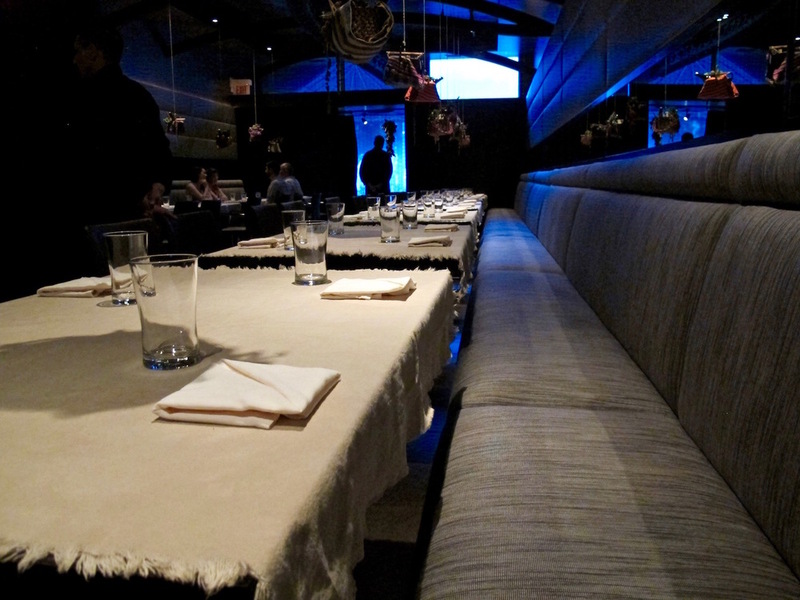 It was culinary theatre at its finest, so I was greatly disappointed that Alinea was fully booked in its newest iteration when I tried to reserve during a recent trip in Chicago. Luckily, Achatz has since opened a few new restaurants in Chicago since my last visit and I was able to secure a reservation at his hit sister spot, Next. 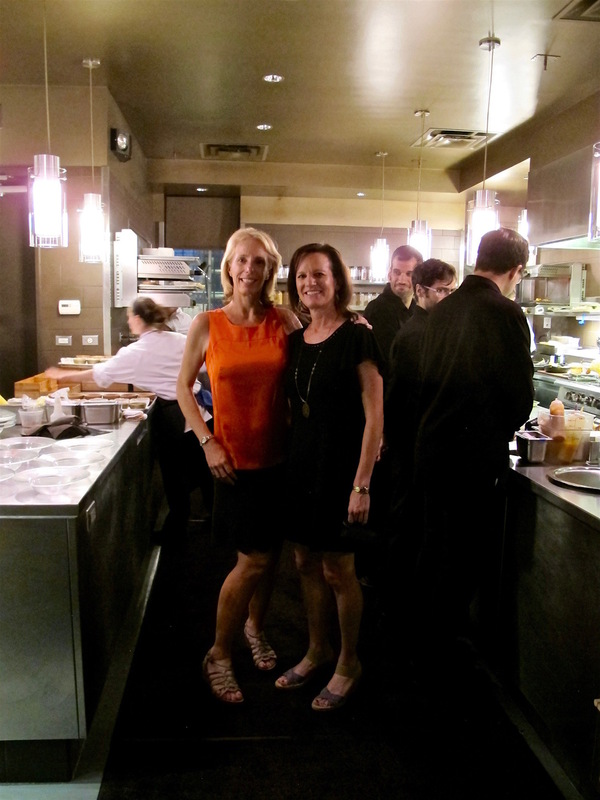 Next creates seasonally themed menus and I was there to experience South America, more specifically, Peru. I've been following Peru's exploding food scene, so was excited to experience it closer to home and under the watch of one of my favorite chef's and Next's young new rising star and Executive Chef, Jenner Tomaska. At 29, Tomaska's poised to make quite a name for himself. He's an enthusiastic and dedicated chef who enjoyed pulling together the menu's dishes by speaking to notable culinary talent in Peru. The core of the menu stays true to Peruvian cuisine, but Tomaska still was able to have fun and add his own mark. 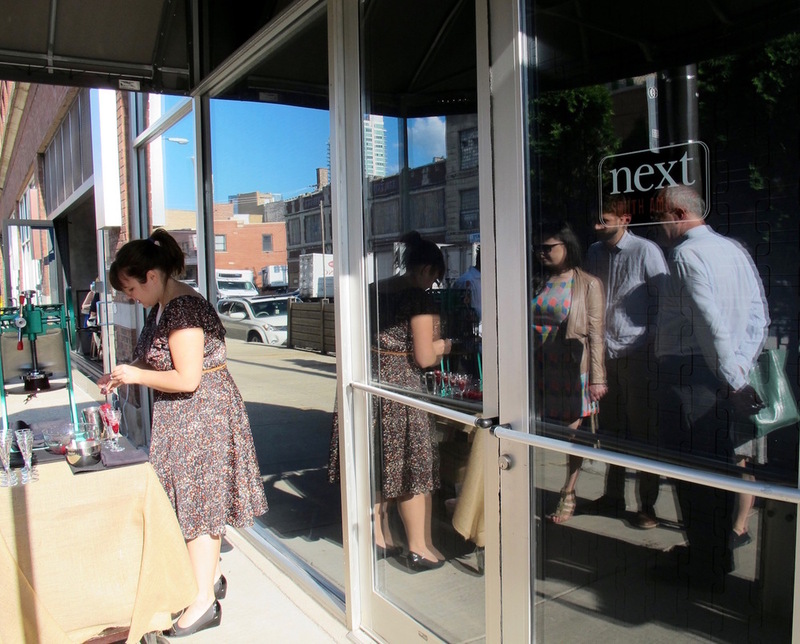 The dinner at Next actually began on the sidewalk outside of the restaurant. Cement stairs ascended to a non-descript awning with a small podium and what seemed like a snow cone machine. 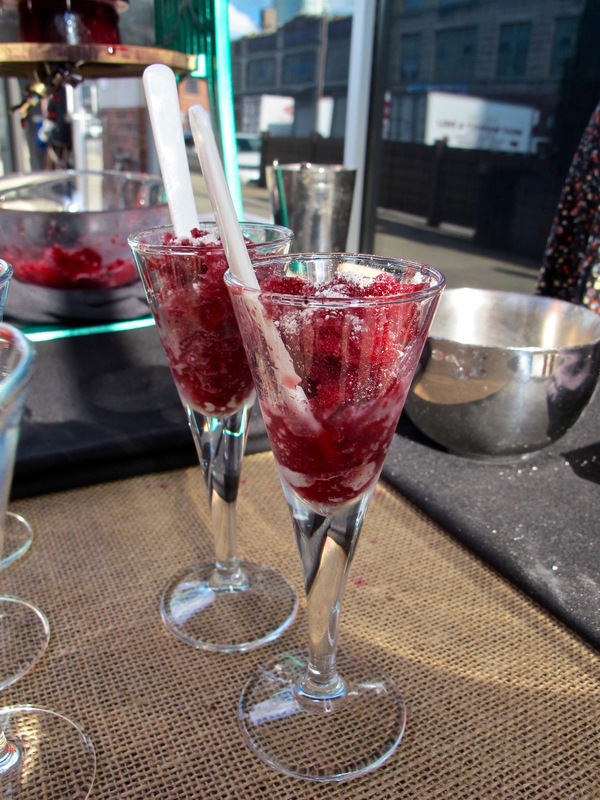 It was in fact Peru's answer to shaved ice, called a "raspadilla." It was a great palate cleanser, slightly sweet and acidic with a purple corn base. Raspadilla in hand, my dining companion and I walked into the dark room of Next and began our culinary exploration of Peru. And yes, I'd say the word exploration is accurate. Our first dish wasn't just a gimme of been-there-done-that ceviche with lime, it was an "evolution of ceviche." Four dishes were presented as a historical sampling of how ceviche has been made over the years, beginning with a pre-Spaniard technique that used fermented fruit to cure the fish. In this case, fermented banana and passion fruit played with the striped bass served throughout. Corn and chocolate came next, followed by salt and aji chili peppers, ending with the more traditional lime and orange citrus ceviche. Even the bowls were made to match the historical evolution. A Pisco Sour balanced the foursome perfectly. Not to be content with just four ceviche options, a fifth is then served on its own. It's actually called Tiradito and is a Peruvian dish with mackerel and prickly pear. Kombu and peanut add depth and addition texture. But wait there's more: a la minute chia sake snow, because, well, sometimes you need a little sake snow to take a dish from delicious to sublime. It's as fresh as it sounds. A complementary leche de tigre symmetrically balanced all of the flavors. Our next course came from the ceiling, or rather chandelier of sorts. A colorful hanging display was taken down and placed on our table. 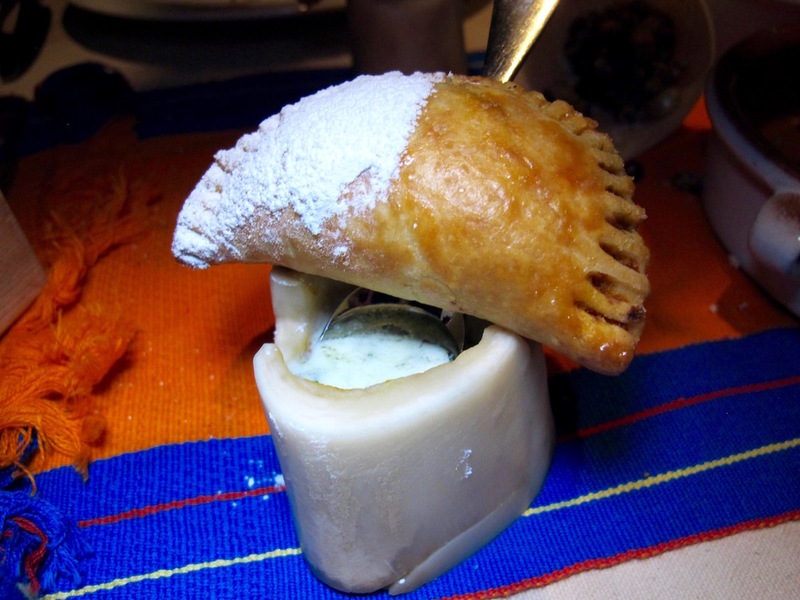 A South American picnic, or Picanteria, was assembled on a bright blanket, that soon was filled with corn nuts, coffee marinated beef hearts, stuffed peppers and empanadas with a bone marrow mayo that had me nearly break my spoon to lap up every last bit. This is my kind of picnic - playful, diverse and delicious. The blanket was swept up and replaced with a bright board wrapped with four different colored swaths of alpaca wool. On top of each color was a matching dish of the same hue, filled with another evolution of dishes. This time, we were working with shrimp escabeche. I heard the chef call it a progression of salads. It went from hearts of palm to sweet potato strands, egg yolk crumbles, and olive-prune mix. These are salads I could evolve with any day. The seafood continued with a unique presentation of sudado. 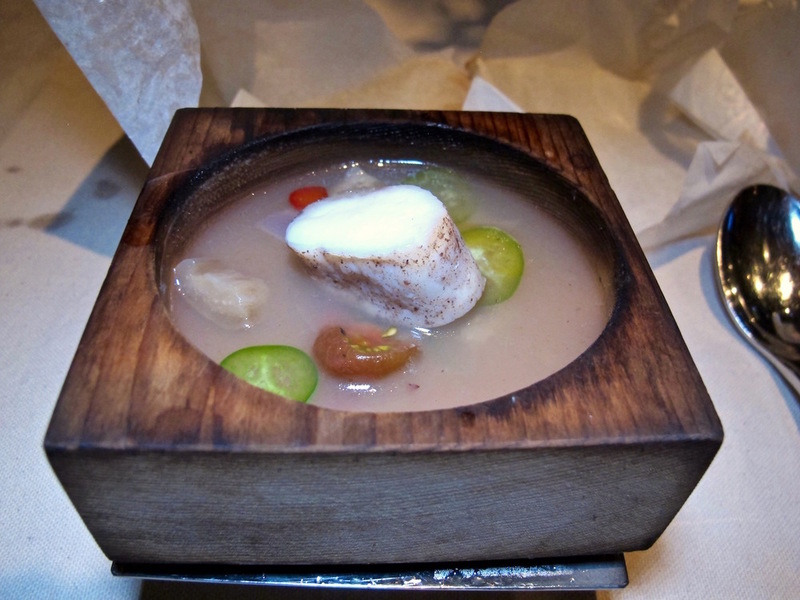 This fish stew was served completely closed in parchment. Once instructed to rip off the paper, you stick your nose in to smell the pork and coconut broth laced with fresh tomatoes and eggplant. It was light and delicate and a nice primer for what was still to come. Still going strong, the savory dishes peaked with the first substantial meat course of corn tamales with black chicken. That chicken was indeed black. I did not need to be told twice to pick it up with my hands to appreciate all of the Cantonese flavor. An onion salad, rice dish and corn silk garnish rounded out the meal. The finale brought a warm, doughy, sweet potato donut on a stick, hovering over dulce de leche cream mint. I don't even remember if I was told I could eat it with my hands, but I'm pretty sure there's no other way, and dipping it in the dulce de leche is a must. Next is a treat with inventive cuisine served in a playful manor. This may not seem inexpensive to some, but the tasting menu we had was just $95, which I thought was a very good value given the quality ingredients, thoughtful presentation and complex flavors. 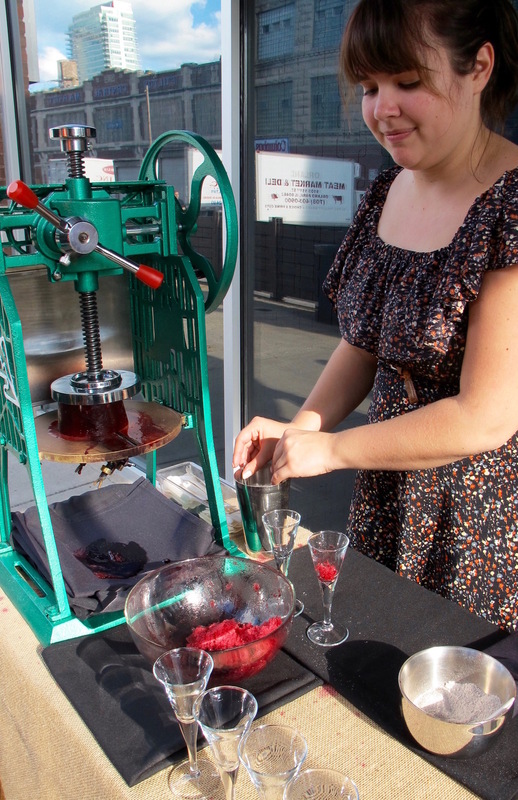 Purchasing the supplemental wine tasting, which I highly recommend, could double your price, but you could do the more inexpensive standard pairing for $65. 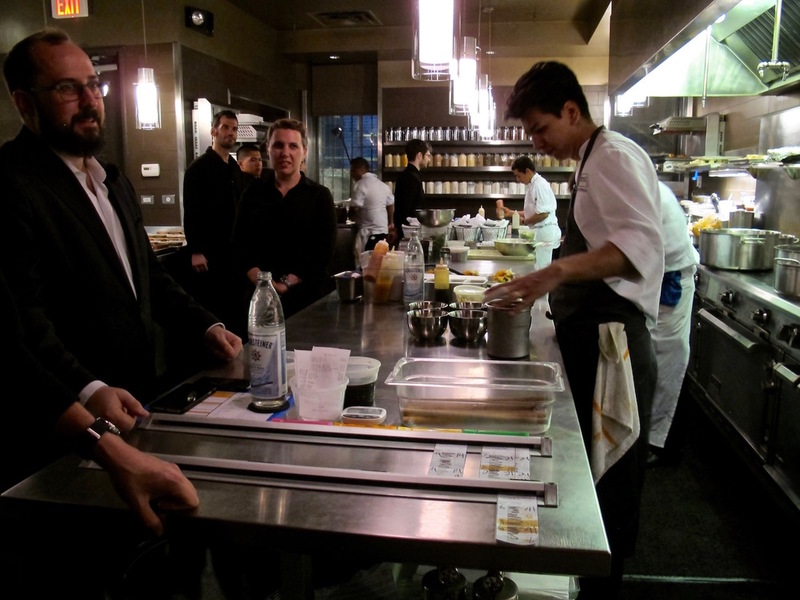 Alinea can be as much as $5-600 for their new experience with wine. I'm almost glad Alinea was booked during my visit so I could enjoy Next, but Alinea, look out, I will be coming back for you! If you want to see what trickery the folks in the Alinea Group can do with a drink, check out my post on their neighboring cocktail bar, The Aviary.